VIVA Office sells premium office furniture. They asked me to test out one of their office chairs. The VIVA Office swivel chair we are giving away features a high-back design for added comfort. The pneumatic gas lift allows for height adjustment; a simple control handle add a choice to rock back and forth and 360-degree swivel. The perforated leather and mesh design keep air circulating, which offers you all-day cozy. Its gas lift meets the BIFMA standards. And the wheels will not damage hardwood floors or carpets. 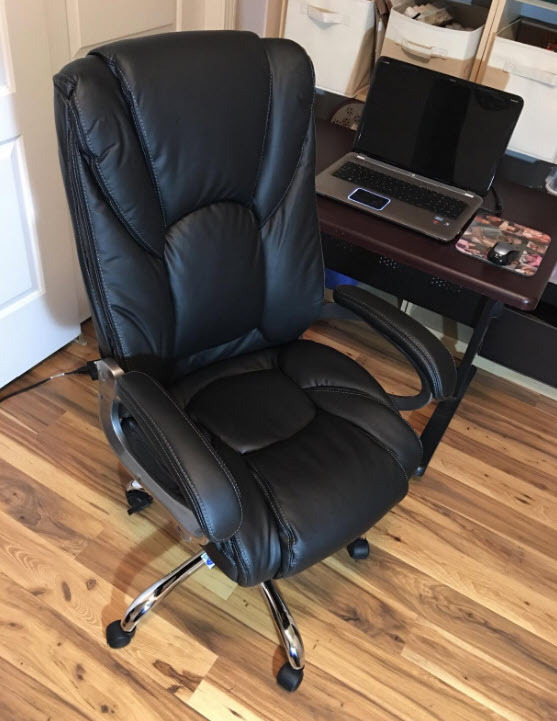 VIVA Office also provides a 2-years free component-exchange for this chair. About VIVA Office: Established in 2008, premium office furniture brand VIVA Office is headquartered in Sweden and rapidly expanding in American, Chinese, and Southeast Asian markets. Through world class design, green & high-quality materials, and strict, systematic quality control, VIVA Office is committed to enhancing the health of office workers around the world. VIVA Office – Supporting Your Healthy Life! Watch the short video to see our office and what the chair looks like. Hope to win the chair. Of these, I would choose the table runner. But I’d also love if you could review one of the video doorbells (like Ring doorbell) and give one of those away!